A.F.I. Senior Honorary Society for Men University of Iowa Iowa City, Iowa 1939 1940 Jan (?) 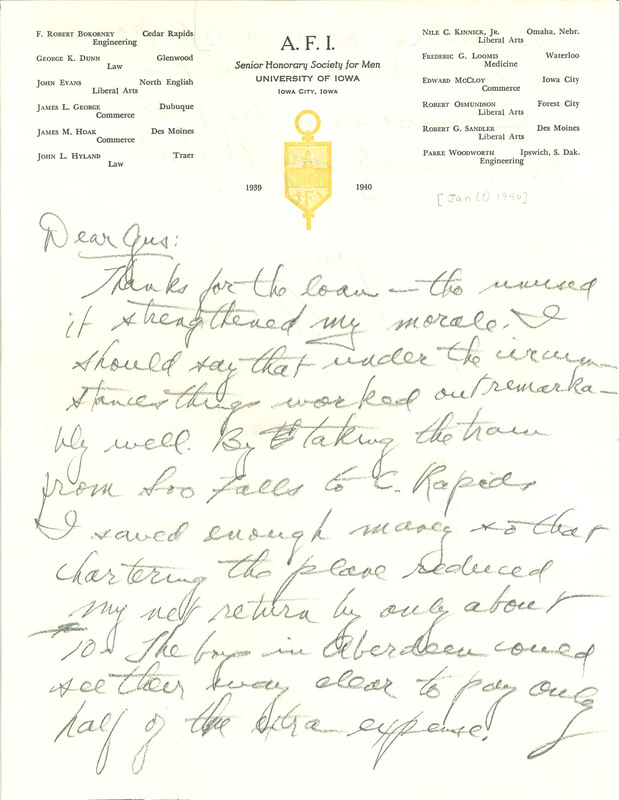 1940 Dear Gus: Thanks for the loan - tho unused it strengthened my morale. I should say that under the circumstances things worked out remarkably well. By taking the train from Soo Falls to C. Rapids I saved enough money so that chartering the plane reduced my net return by only about 10. The boys in Aberdeen could see their way clear to pay only half of the extra expense.